In a recent (March 14) column on global warming, I predicted that deniers of global warming and its human causes would soon be popping out of the woodwork. Little did I know how fast it would happen. One “skeptic” claimed that there was no evidence that CO2 and global temperatures were related and never had been. I guess he meant except for the ice cores from Greenland and Antarctica going back 100,000 and 400,000 years, respectively, and showing a near perfect match between temperature and CO2, or the precise measurements available worldwide since the 1980s from land, sea and satellites showing an even tighter match. More recently, a western Montana resident assured us that “the Antarctic ice sheet is setting records for increase and even the Arctic ice sheet has grown significantly.” He also asserts that North America and the rest of the world are getting colder over the past decade — all demonstrably false according to every credible source, including the National Aeronautics and Space Administration, the National Oceanic and Atmospheric Administration, the National Center for Atmospheric Research and the Fourth National Climate Assessment (NCA4). Changes across the Arctic are even more dramatic, where scientists report that average air temperatures over the last 50 years have increased twice as fast as the global average, and will likely lead to nearly sea ice-free summers by 2040. Still not convinced? Check out any of the NASA images comparing Arctic ice in 1980 with 2018 and you’ll see it’s already 40-50 percent gone. As for the claim that the planet has been getting cooler, scientists generally, and American scientists specifically, report that the 18 hottest years ever recorded since the 1870s have all occurred since 2000. If you’re ready to stop getting your climate “facts” from the Exxon-Mobil, Rush Limbaugh and Sean Hannity school of climatology, you can Google “Fourth National Climate Assessment,” go to Volume 1, and check out the executive summary and short Key Findings. Then you’ll be prepared to make decisions based on facts rather than fantasy. Brian Peck is an independent wildlife consultant who lives in Columbia Falls. Nice try, Fred, but pine beetle infestations existed before global warming was invented. By the way, have you ever heard of homeowners insurance? Most people buy homeowners insurance rather than cut down all the trees on their property. And, golly, have you ever heard of saving old growth trees? I did enjoy all your enviro-virtue signalling just the same. * With the beaver pond gone, you could start a GoFundMe page for homeless beavers also. Mr/Ms Def Con: Fred Brewer reminds me of the poor fellow who rerouted the tailpipe of his SUV into his passenger compartment to “sequester” carbon dioxide. Unfortunately, he did not know the difference between CO2 and CO. But he left no children behind, so I guess his demise was an example of Darwinian selection. @Maxie Burton - You know, in all your other iterations here, you still never answered my question, so I'll give it another try. How many times, on average, do you have to stop on the way home to ask directions? Three? Five? @REMF Con - I won't even say, "Nice try" because it was just pathetic. I will give you credit for at least trying to make a couple of straw man arguments but you don't really know how to do that either. Please note, I didn't say global warming caused the beetle infestation - it has just made it worse. I have homeowner insurance, but why would I want to go thru all the hassle of rebuilding when I can just save the one I have. Nor did I or John Emeigh say I cut down all the trees on my own property. In fact I very clearly stated that I only felled beetle-kill. Your self-proclaimed expertise in forestry seems to have missed out on the fact that a dead tree doesn't count as "old growth." Couple that with the fact that not many Lodgepole Pines would qualify in any case, and you end up looking even more ignorant than usual. And, yes, that's a tough bar to get over. Your idea for the pond here seems to fall in line with all your other ideas - clueless. What did they call you at home, Bubba? No, wait. I bet you were "Junior." That would fit in with a background in an area where the hoot owls molest the chickens. "...old growth means a forest that has not undergone any major unnatural changes (such as logging) for more than 100 to 150 years, contains young, mature and standing dead trees and provides a home for a diversity of wildlife species." Looks like you destroyed a lot of (standing dead) old growth trees, Fred. That's what happens when you don't know what you're doing and you panic over global warming. If you don't like my marina idea to capitalize on rising sea levels due to global warming, what about opening a business that sells life vests and inflatable life boats? You could package them together and sell them as a"High Water Survival Kit." What are the visiting hours at Warm Springs? I'd love to stop by and chat with you sometime. I think you're a really crazy guy, no pun intended. @REMF Con - There's nothing about my property that qualifies as "old growth" under your definition or any other. This area in the Highlands has been logged, burned, and mined throughout the last 100 years. One of the aspects I treasure is that we sit at a juncture of conifer, deciduous, and sage brush dominance, with the wetland/pond in the center. It's fascinating to see the progression that has taken place over the years, as the ebb and flow of each has encroached or retreated from the others. You appear to be better acquainted with Warm Springs than I, so I would urge you to make an appointment there at the earliest opportunity. Something tells me that they would welcome you with open arms. People in the profession are always on the lookout for the next case study that could get them published. You didn't answer my question about how you were known in your youth. I'm still leaning toward "Junior" as the most likely. That tag usually was hung on the family member most likely to embarrass himself in front of company. The name would explain it away, "Oh, that's just Junior. He's funny that way." @Jesse Cole – I was going to remark on the staggering ignorance displayed in your comment, but it was obviously not ignorance – it was simply belligerent dishonesty and arrogance. You graciously allowed Mr Peck the right to an opinion, but totally ignored the reality that everything he said was actually FACT, not opinion. You accused Mr Peck (ad hominem by the way) of, “ ...you make sweeping assertions which you apparently accept without challenge...”, again totally ignoring the fact that he provided unequivocally credible and authoritative citations for everything he said. You should try that some time. If you could find anything left to say, attribution might improve your own credibility out of negative numbers. Doubtful, I must admit. You blustered, “There are, in fact, hundreds of scientists who disagree.” First, that is blatantly, egregiously false. Second, again, no source for such a sweeping assertion. Third, name even three such scientists with even the slightest credibility or standing on matters of climate. You declared, again with not the slightest validation, that, “it was recently announced that the Greenland glacier cover is actually now increasing.” First, that is blatantly, egregiously false. Second, again, no source for such a sweeping assertion. Third, try considering the actual facts, rather than just the garbage you pick up from denialists funded by ExxonMobil. In conclusion Greenland is losing ice extensively along its margins where fast flowing ice streams are pushing more ice into the ocean than is gained in the center of the ice sheet. Are you acquainted with Stan Anderson, who occasionally trolls here? You seem to have a lot in common with him. You are entitled to your opinion, of course, but when you make sweeping assertions which you apparently accept without challenge, and ad hominem attacks then you're credibility goes to zero. CO2 is not the prime driver of climate change, and there is no proof that man made CO2 is driving any observed temperature changes. Actually, water vapor is the most important "greenhouse gas". All of the evidence you cite is not proof of anything other than there is a correlation, and correlation is not causation. There is not a 97% consensus that global warming is real and caused by man made CO2. There are, in fact, hundreds of scientists who disagree. If you are going to just argue your position is right because you believe the scientists (many of whom profit, and have profited from falsification of global weather data, such as the IPCC) because they are scientists you believe and all the rest are wrong, then that's not science either. Cherry plucking data and observations do not prove there is global climate change one way or the other. 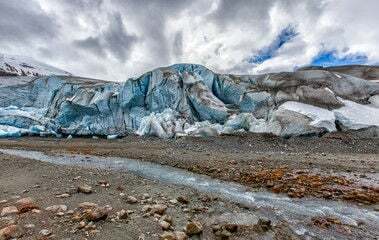 For example, it was recently announced that the Greenland glacier cover is actually now increasing. I won't be dumb enough to argue that this observation proves there is no global climate change. Global warming is a hypothesis and a theory, not settled science. Anyone who argues that the science is "settled" and thus beyond debate doesn't understand what science is. If you are worried that CO2 is driving up temperatures, the USA accounts for 15% of CO2 production, and CO2 production has been decreasing since 2017. If the USA radically cut CO2 production...say by 50%...if would barely change the global CO2 production. In other words, 85% of the world's human produced CO2 is produced elsewhere, and we can't do a thing about it. Finally, just curious. Do you fly? Eat Beef? Drive a car? Or have you personally made the commitment to live without meat, driving cars, using electricity or flying? I haven't seen any of the most prominent climate alarm cultists doing anything in their own lives to reduce CO2 use;in fact, conferences on CO2 have produced thousands of tons of CO2 from people...flying to exotic destinations to have global warming conferences, instead of doing it by computer. "Anyone who argues that the science is "settled" and thus beyond debate doesn't understand what science is." Precisely. They either missed the high school lecture on the Scientific Method, or they never studied the history of science. In any case, they want to believe rather than think. @Max Burton - If you ever had a quiz on the "scientific method" you obviously failed abysmally. You get your conclusions from alt-right conspiracy nuts and white supremacist racists, then try to construct a rationale to justify them. That's your idea of "science." Are you the same Fred Brewer who cut down all the trees around his house for 200 yards because he thought global warming would make them burst on fire? If so, I'm sorry the "scientists" got you to do that. @Def Con - Are you the same REMF that tries to play silly-buggers with the honor due the Tuskegee Airmen? What's next? Are you going to explain why John McCain wasn't a hero? The whole idea of Global Warming (now called Climate Change, and soon to be called Severe Weather), is to get other people to believe in it and to give you money. You do not have to believe in it yourself. That's what the Green New Deal is about: Get the masses to pay for "fixing" the climate, pocket all the money, and then someday claim the climate is fixed. All the while, you maintain your profligate lifestyle and even increase it. Since the fossil fuel producers and polluters have been sucking up billions of dollars of taxpayer money for over a century, I think we already know where the lies and manipulation have been coming from all that time. I'll believe it's not a crisis when all of the alt-right reactionaries quit repeating the same misinformation and outright lies to continue denying reality. "Fred Brewer cut most of the trees around his home — in some places about 200 feet back. A lone shade tree remains." Is that you, Fred? If so, is that what the global warming "scientists" told you to do? @REMF Con - Since you don't seem to know the difference between "yards" and "feet" I think your opinion about anything might be less than compelling. Fred Brewer— Since you don’t know that trees absorb carbon dioxide and produce oxygen, I think your opinion about anything might be less than compelling, especially when it comes to climate change. Sorry you cut down all those trees. Did you cut them up and burn them all? Heh. I bet you did and never paid a carbon tax. You should admit you’re a sinner and turn in your official Warmers Church membership card. PS: I apologize for confusing your name with a Tuskegee Airman, but that’s what Google came up with, and judging from your comments in other threads, it made sense you were an African American. @REMF Con – Apparently John neglected to include in his piece that everything we cleared to the perimeter was in fact standing beetle-kill. The increased damage from beetle infestation, of course, being a result of global warming. Clearing that perimeter is standard wildfire defense. And, of course, the increased wildfire danger is also a result of global warming Also within that perimeter we keep the native tall-grass plant cover short as additional standard wildfire defense. Along with those efforts, we are actively cooperating with beaver habitat restoration of a pond they had created years ago. Healthy wetlands, of course, being vital to minimizing the effects of ….. wait for it ….. global warming. In fact, our care of that pond supports a thriving breeding population of Westslope Cutthroat Trout in what are the headwaters of Blacktail Creek. Reading your comments, and recognizing your spiteful bigotry for what it is, it just makes sense to conclude you're originally from somewhere deep in the Ozarks and your parents perhaps had an excessive consanguinity. Is that who you are?